Getting fit while dancing is a great way to have fun while working out. 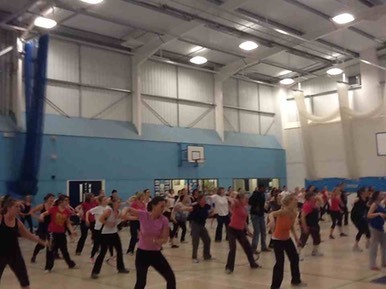 Here Local Mums recommend the best dance fitness classes in our area. "I highly recommend Shelly from��Fabulicious Fitness.�I started training with Shelly on the 14th January 2012. I had my second son on 3rd October 2011 and over the Christmas period was becoming very conscious and unhappy with my weight. At the beginning of January I was a big size 12 and in some clothing was a 14.�No item of clothing fitted me nicely and I was feeling extremely top heavy and uncomfortable.�This is when I called Shelly for help!�Shelly asked me what my goals would be. Obviously my main aim at first was to lose weight but in turn I wanted to obtain a good level of fitness. I went to a zumba class once a week which really puts the fun in exercising. Shelly was very much on my case, she emailed me and texted me regularly but this is exactly what I needed, and if she hadn't done this for me I would still be feeling uncomfortable and unable to buy the clothes I want to buy.�After the 30 days I had lost 1stone and 5lb and already starting to feel better about myself!�I am now 3 months on from when I started and have lost 2 stone, I am back in a size 10 and some jeans I have recently purchased have been a size 8.�I am now still training, eating so much more healthily and feel like I am getting back to how my body was before I had children. I am feeling fitter and full of energy which is exactly how I want to feel. Rachel Roome, Local Mum of two boys. "I really recommend Shelly from Fabulicious Fitness to all Local Mums. Her classes are great and I really have fun. She pushes me to do more than I think I can do; hard at the time but afterwards you can really see the results."